Why all Moto GP wheels are forged magnesium? The pinnacle of motorcycle racing competition is the MotoGP World Championship. The Grand Prix Road Racing World Championship was established in 1949 by the sport's governing body, the Fédération Internationale de Motocyclisme (FIM), and is the oldest motorsport World Championship in existence. 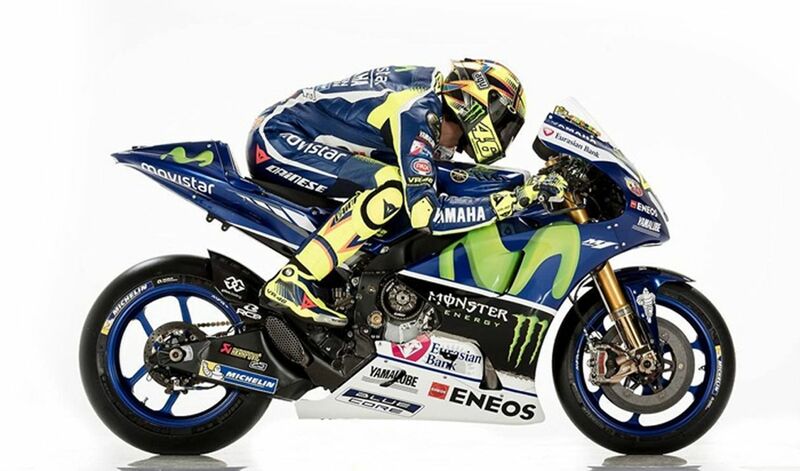 The motorcycles used in MotoGP are purpose built for the sport (Wikipedia). In prior decades racing motorcycles were equipped with cast wheels made of various alloys, usually aluminum. This century, extremely light and strong forged magnesium wheels, used by all the MotoGP teams, represent one of the most important elements in this contest of ultimate speed. The most advanced production technology, originally developed for the Grand Prix, has allowed these forged magnesium wheels to become widely available for road use. A wheel is an unsprung rotating component. Thus, reducing its weight is very advantageous. Wheel weight reduction improves steerability, and considerably increases the efficiency of the chassis operation generally and the brakes in particular. Pursuing weight reduction in tandem with technological evolution has resulted in the development of durable, high-performance one-piece forged wheels. A frequently asked questions is, “How were MotoGP motorcycles affected by changing the wheel size and tire diameter from 16.5'' to 17”? The question is difficult to answer briefly because the physics of wheel operation is not simple. Putting a static object in motion by applying acceleration can be described by a single formula. However, numerous systems are activated when a motorcycle is put in motion, and different forces act on each system--the chassis, the engine, the suspension and the wheels. The wheels in motion represent a complex physics model, and additional inertia appears within the rotating wheels system: the tire and wheel themselves are of considerable mass. The moment of inertia depends not only on mass, but also on the square of rotation radius: the lower the radius, the higher the rotation speed. The heavier the wheel and the greater its rotation speed, the greater is the gyroscopic effect keeping the motorcycle upright when travelling in a straight line and pulling the motorcycle to straighten up when turning. Thus, adopting 17” wheels and tires reduces turnability very slightly, but manufacturers were able to compensate for those losses through modifications upon the chassis and to some extent the engine. In other words, the lighter the wheel, the easier it is to control the motorcycle, to “lean” it into a turn while overcoming centrifugal force and the gyroscopic effect. This is why nearly all manufacturers of MotoGP sports prototypes have switched to using counter-rotating crankshafts in engines, i.e., crankshafts rotating in the direction opposite to the wheels’ rotation, in order to compensate for (reduce) the gyroscopic effect generated by the rotation of the wheels. Steerability is thereby improved. There is an important advantage in adopting 17” sized wheels: as the diameter increases, the circumference increases accordingly; therefore the motorcycle travels a greater distance over a single wheel revolution. The Superbike World Championships have demonstrated that adopting 17” wheels reduces lap time (other factors being equal) on average by 1 to 1.3 seconds. Only a few manufacturers in the world are able to forge magnesium components accurately and flawlessly, while attaining the highest possible mechanical properties and thus maintaining the highest level of performance and safety for the racer. These manufacturers have dedicated the last 15 years to forging wheels that approach the ideal strength-to-weight ratio, while engineers have established several important premises through rigorous experimentation on the testing bench and on the race track. Material properties determine how much excess metal the manufacturer can remove from the forged part. The aim is to reduce the spoke thickness as well as shave off metal in other sections of the wheel as much as possible without compromising its durability and safety. Engineers have established empirically that two optimized magnesium alloys (density 1.8 kg/dm3) are best suited for production of motorcycle wheels with required characteristics. For comparison, nearly all facilities producing wheels for mass market models utilize aluminum alloys having a density of 2.7 kg/dm3,; and most of those being cast wheels, having inferior microstructure resulting in higher weight. Forged magnesium wheels are more than 45% lighter than standard cast aluminum wheels, and this reduces the moment of inertia by 35%. The processes for manufacturing a wheel forging and its subsequent machining and coating are important because they serve to ensure the highest mechanical properties of the finished part (for example, steel undergoes “quenching”). The Russian forging technology (originally developed for production of “best in class” civil and military aircraft, and furthered by 21st century engineering advances) deploys the proprietary process of net-shape hot forging into a three-dimensional closed mold or die. The magnesium alloy bar is heated to the required high level of temperature, then gets formed into net shape by a powerful (10,000 tons of force) hydraulic press descending slowly and precisely on the bar (the number of such presses worldwide is quite limited). Sometimes a bar goes through a preparatory processing sequence, subjected step by step to several such presses to ensure proper, crack-free formation. This slow-speed, high-power forging process allows the alignment of the fibers in the designated direction, which is necessary for reinforcing the lattice. The grains are thereby reduced in size and uniformly positioned along the fiber arrangement pattern. Following the forging step, the part is lathe turned and then milled on very accurate and precise CNC machines, thus completing the end shape of the wheel. The designs of these wheels are optimized by special modeling software applied by experienced engineers. A series of physical tests is then carried out to verify the impeccability of the results. The subsequent finishing treatment involves a penetrant liquid test to check for possible microcracks, following which the wheels are anodized and painted. MotoGP technical regulations prohibit the use of hi-tech materials such as carbon and ceramics when making brake system components and wheels. But would it be advantageous to use carbon wheels? Let's evaluate. A set of BST CF 17” (3.5”-5.5”) carbon wheels, weighing just 4.8 kg, costs more than forged magnesium wheels of the same size with a total weight of 6.3 kg. The difference in price corresponds approximately to an assembled Ohlins fork or a set of hi-tech cartridges that can save the same 1.5 kg of weight when installed. But forged wheels are 1.5 times more flexible than carbon wheels, and possess significantly higher impact tolerance. Carbon wheels are highly susceptible to forming dangerous cracks upon strong direct impact. A wheel's fatigue properties rapidly drop to zero when an unobservable microcrack occurs. Such a microcrack may at any moment develop into a deep crack that is fatal for the wheel, leading to sudden fracture. Another important consideration: carbon wheels are not 100% uniformly constructed, as opposed to forged wheels. The hub is made of aluminum in order to provide better fatigue and impact tolerance properties. Many professional riders are convinced that carbon wheels are merely a temporary fad. In fact, motorsports began turning away from using carbon wheels at the end of the 1990s. Their advantages are few and dubious, with an equal number of clear disadvantages. Thus, forged magnesium wheels are the irreplaceable top choice for the upper echelons of motorsports. This is why all MotoGP teams select forged magnesium wheels. For example, Valentino Rossi and his teammates at Yamaha MotoGP have won the World Championship for 3 years straight, while riding on SMW forged magnesium wheels, designed by the legendary Roberto Marchesini, and finished by MFR in Italy.